In the summer of 1986 a small movie theatre in Oklahoma City becomes a deadly crime scene following a botched armed robbery. All but one of the employees are murdered by masked gunmen. Flash-forward to present day and the lone survivor – Wyatt Rivers – is working in Las Vegas as a private investigator. Now, Wyatt travels back to OKC, the town he left all those years ago, to look into claims of harassment by the niece of a frequent client. That same summer in that same city, a young woman vanishes while enjoying an evening at the State Fair. All these years later her sister, Julianna, is desperate for closure. She’s been living a stagnant life as a nurse, unable to move on emotionally from her sister’s disappearance. She still pokes and prods at the detective assigned to the case thinking that if she shakes hard enough, something will come loose and tumble to the ground. While the case is colder than moonlight on a tombstone, hope arises when someone believed to be a suspect suddenly resurfaces. While the central mysteries drive the plot, Lou Berney’s novel is less about whodunit and more about how those left behind learn to cope with loss. There are some strong passages written here that illustrate the effect trauma can have on the mind, regardless of how much time has passed. Having avoided his hometown for nearly thirty years, Wyatt’s memories are triggered by the familiar, often stopping him in his tracks as the traumatic events race through his mind. I felt this was used to great effect. Rather than massive info-dumps, we get history woven into Wyatt’s current case. That being said, the novel isn’t all gloom and doom throughout. Wyatt’s smarmy disposition allows some humor to come through helping to lighten tension; not unlike letting air out of a balloon. It helps to balance out Julianna’s weighty scenes as her obsession for closure has an adverse effect on her personal and professional life. I had a tough time with a few of her choices; even with her intense need for answers, one decision in particular left me scratching my head. While the eventual revelation took me by surprise, I figured out the culprit behind Wyatt’s case early on, so I found the mystery itself to be somewhat weak. However, The Long and Faraway Gone had so many moving parts that it didn’t really dampen my experience. 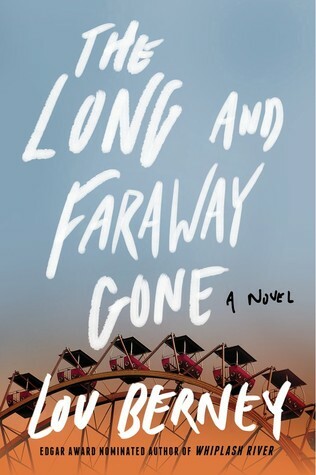 If you’re looking for a good non-series mystery novel, Lou Berney’s The Long and Faraway Gone is a solid choice.